Alex Fenton graduated from the University of Bradford with a BSc in Electronic Imaging and Media Communications in 1997 and has worked in various web development and e-learning roles ever since. Alex currently runs a media and web development company called EDinteractive based at the University of Salford. 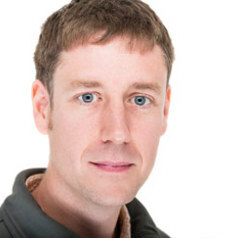 Since 1997 Alex has been teaching and developing web and multimedia and writing web applications. The most effective of these is a content management system that has been used over 150 times for small and large projects for the likes of the University of Salford, The NHS, various Universities and the British Council. Alex is part of The Research Centre for Digital Business, Salford Business school. Alex undertakes research and teaching at MediaCityUK in the areas of digital and sports business. Alex loves to travel and is a travel writer and photographer for a VW magazine and loves festivals and technology.